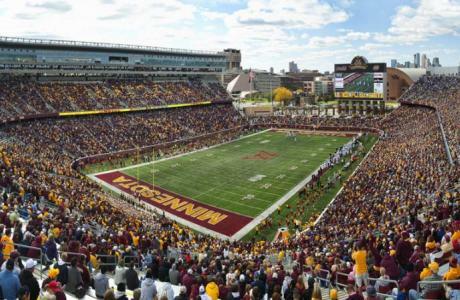 The University of Minnesota offers the perfect event venue in the Minneapolis and St. Paul area. Home to 3 unique campuses and 2 great cities, situated along the banks of the Mississippi River, this venue has it all! 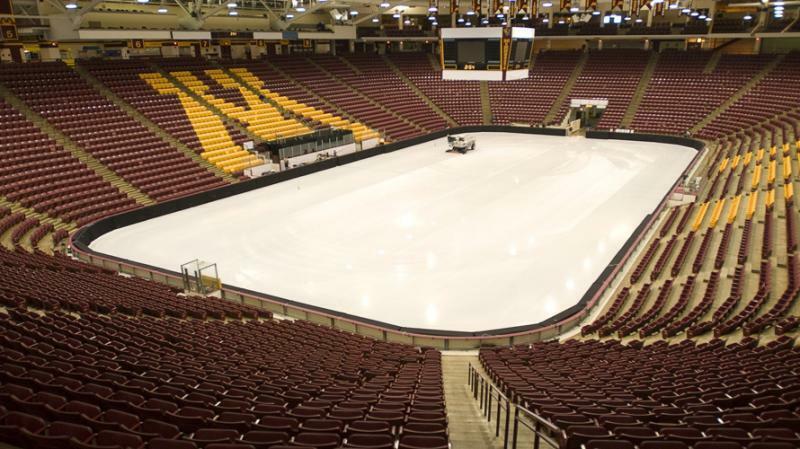 Whether you are booking a business conference, training, expo, or retreat or you have a wedding or social event to plan, The University of Minnesota will exceed your expectations. 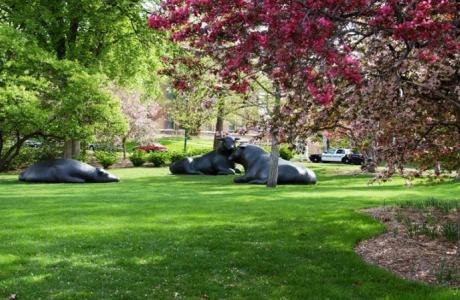 Guests will not only enjoy the beauty of campus, they will also appreciate the convenience of being just minutes from downtown Minneapolis and St. Paul and less than 20 minutes from the Mall of America and the Minneapolis/St. Paul International Airport. 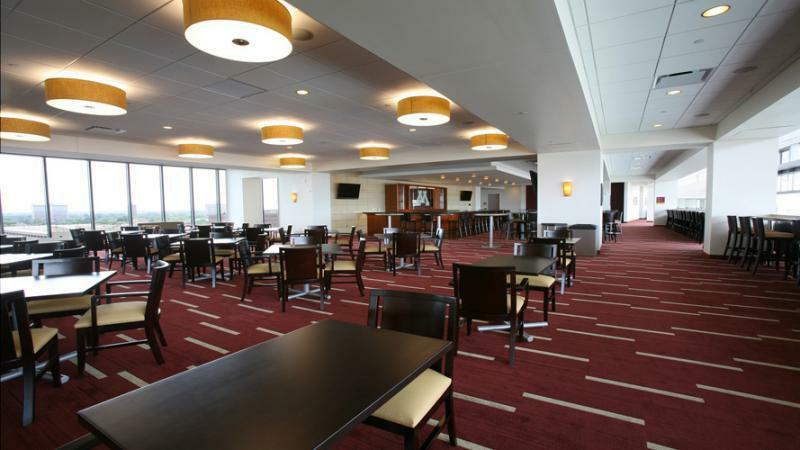 The University of Minnesota offers meeting space & catering year-round. 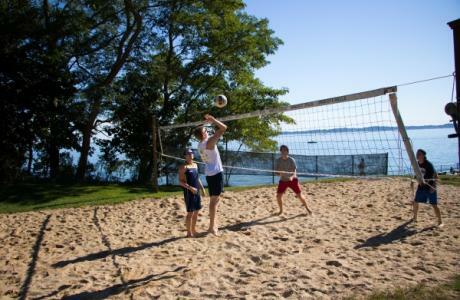 Housing & dining are offered during the summer months as well. 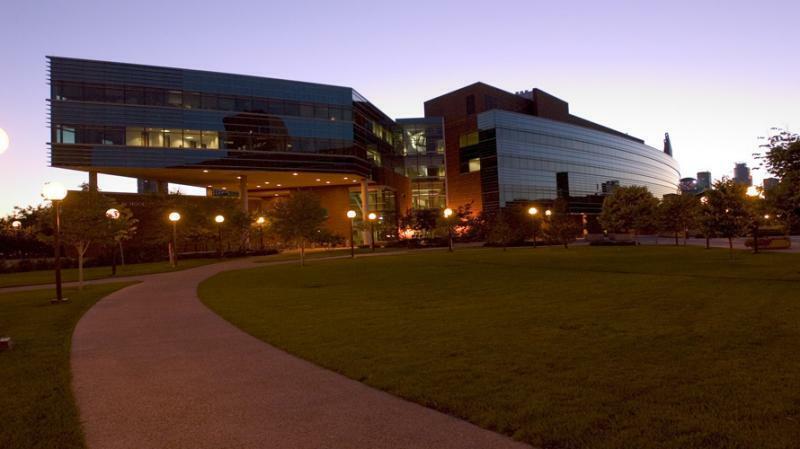 We offer wired and/or wireless services in all University of Minnesota venues, as well as access to housing and campus computer labs. The University has completely FREE guest wireless on campus. Non-profit rates are available for housing and limited meeting spaces. Minneapolis/St. 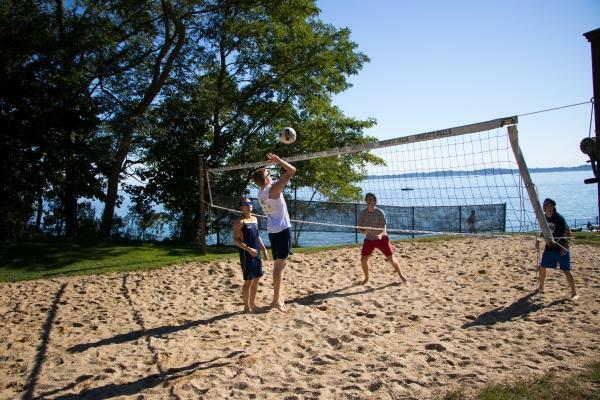 Paul area residential housing only offered end of May - mid-August. TCF Stadium	 TCF Bank Stadium isn’t just a football venue. 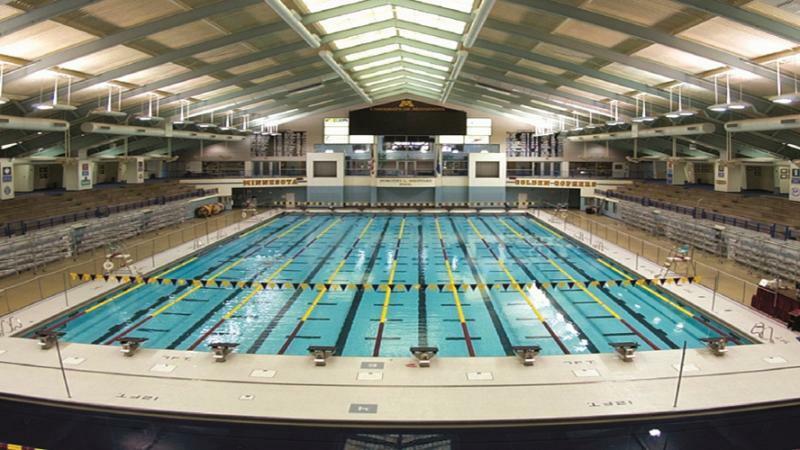 It's a monumental contribution to University of Minnesota heritage as well as a living, breathing icon for the whole community to enjoy. 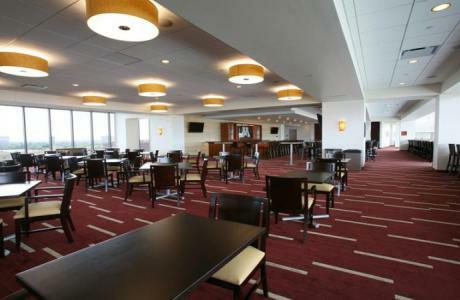 There are multiple meeting spaces contained within, including: DQ Club Room, Indoor Club, Presidents Dining Room, and Event Meeting Room seating anywhere from 25-1,000. 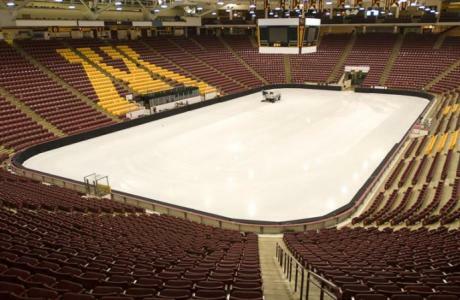 Mariucci Arena	 Mariucci Arena seats 9,700, has the capacity for an ice sheet 100 ft. by 200 ft., has a club room for up to 350 people, meeting space for up to 100, locker rooms, and concessions and catering available. Campus Club	 The Campus Club offers elegant spaces for any type of event, whether it be corporate, social, private, wedding or university. 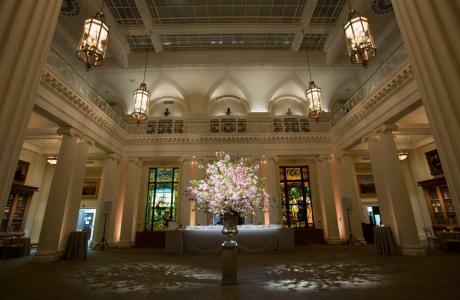 We have 11 flexible event spaces, over 13,000 square feet, that can accommodate a variety of events ranging from 2 to 250. This unique venue has floor-to-ceiling windows with stunning panoramic views of downtown Minneapolis and the Mississippi River, and a terrace perfect for an outdoor wedding ceremony or reception. With an in-house Executive Chef, guests will enjoy locally sourced and organic food. Great Hall, Coffman Memorial Union	 Known for its art-deco decor and historic design, the Great Hall is the largest facility in Coffman Memorial Union. 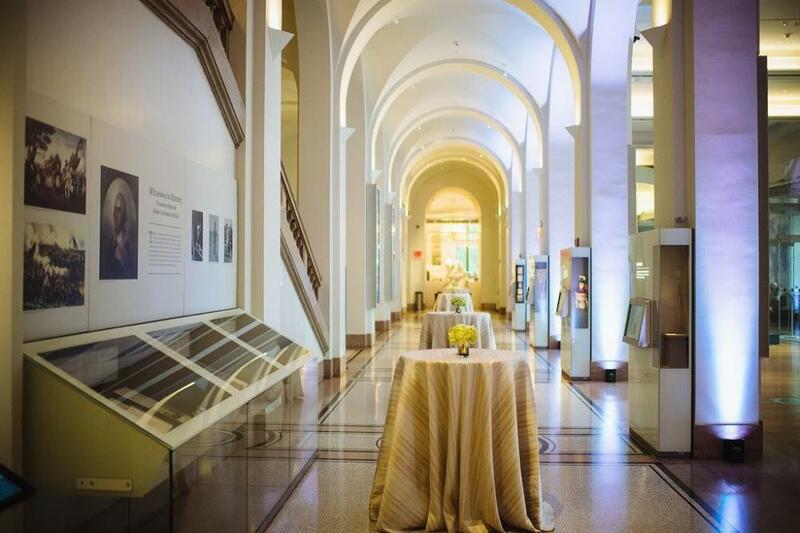 This extraordinary event space is equipped with its own prep kitchen, restrooms, ticket booth, tech booth and a spacious annex great for pre-event registration or reception area. McNamara Alumni Center	 Consistently rated 5 of 5 stars by event and meeting planners, the McNamara Alumni Center is a top Minneapolis venue for conferences, galas, holiday parties and wedding receptions. McNamara’s architecture is bold and beautiful, inspired by the Minnesota landscape of wood, water and copper. 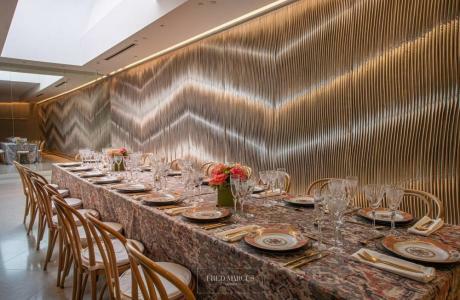 With ten unique meeting rooms, all on the first floor, McNamara offers event planners and attendees many conveniences, including tunnel connections to an adjacent 500-car parking ramp and the Graduate Hotel, quick highway access and award-winning D’Amico Catering onsite. Theater, Coffman Memorial Union	 With a vast stage, ticket booth, tech booth and Green Room, the Theater is truly one of Coffman's gems. 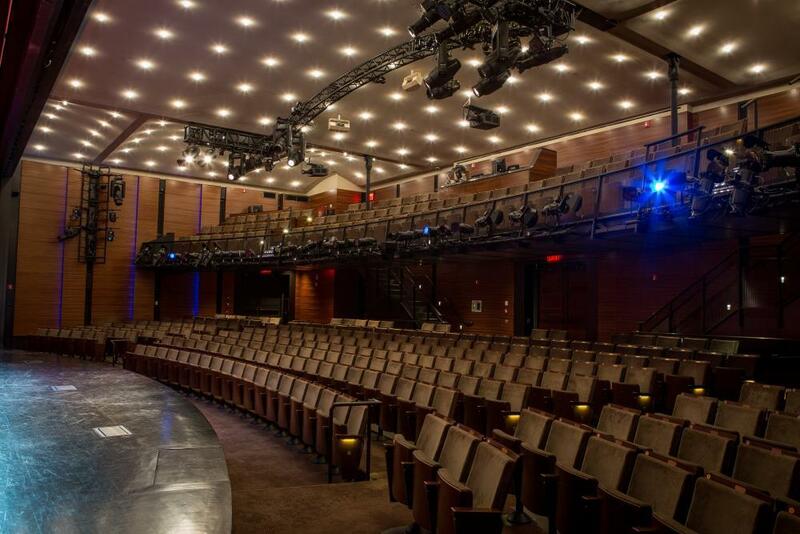 This gorgeous space has the capabilities for films, theatrical performances, panel discussions, lectures and more. The Theater also includes an elegant lobby overlooking the Fountain Terrace that can be used for pre- or post-event gatherings. Cowells Auditorium and Atrium, Hubert H. Humphrey Conference Center	 Cowles Auditorium, carpeted with tiered theater-style seating, provides an intimate feeling while accommodating a large group. The wall at the back of the stage doubles as a projection screen. A large three-story, sky-lit space, the atrium is ideal for receptions, meetings, dinners, and luncheons. 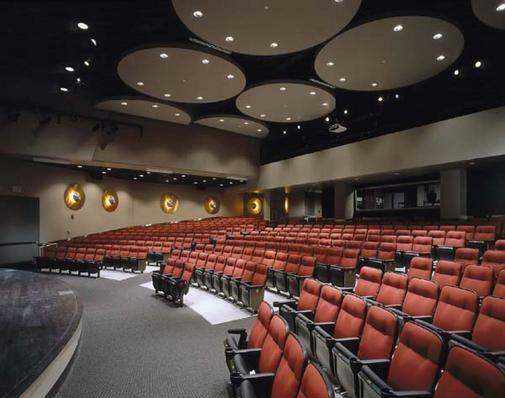 MacMillian Auditorium, Minnesota Landscape Arboretum	 The MacMillan Auditorium features state-of-the-art multimedia technology and accommodates groups up to 375 theatre-style for meetings and 300 for banquets. The space can be divided into as many as four smaller meeting rooms-each with its own lighting and multimedia controls. McQuinn Great Hall, Minnesota Landscape Arboretum	 The most dramatic space within the new Oswald Visitor Center is the McQuinn Great Hall, with its soaring 40-foot ceilings, massive Douglas fir timber trusses, and expansive windows that showcase six outdoor gardens and terraces. Perfect for an after-hours hors d oeuvres reception, the space accommodates up to 150. Northrop Auditorium	 Considered the Carnegie Hall of the Midwest, Northrop Auditorium is the largest space on campus. 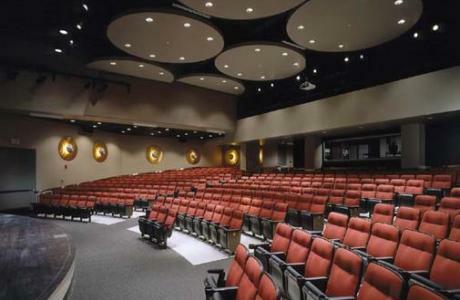 There is an adjustable orchestra pit which can accommodate up to 80 additional seating spaces. Northstar Ballroom, St Paul Student Center	 The North Star Ballroom is a vast, versatile space with parquet flooring suitable for banquets, career fairs, and performances. 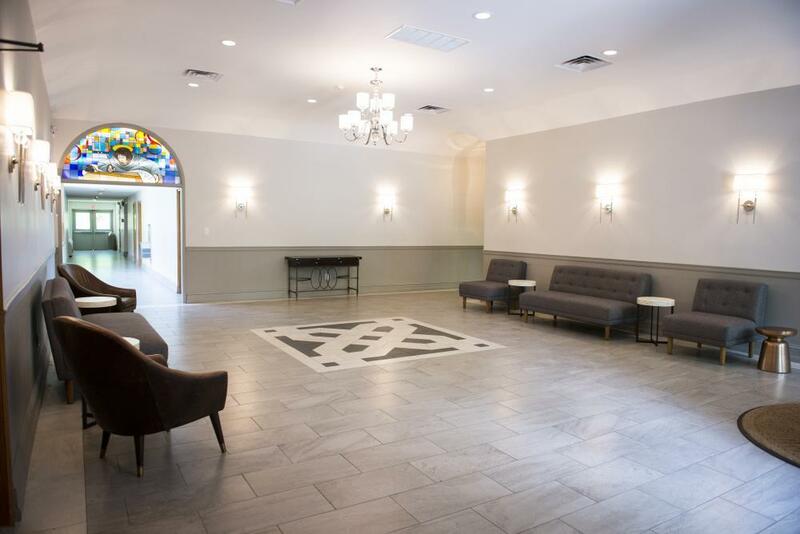 In addition, the Ballroom features a stage, grand piano, special lighting capabilities and a mirror ball to add elegance to your event ambiance. Theater, St. Paul Student Center	 With ample seating and full audio/visual capabilities, the Theater is truly one of the Student Center's gems. The stage has been host to films, theatrical performances, dance recitals, panel discussions, lectures and much more. Ted Mann Concert Hall	 With a breathtaking view of the riverbank through 3-story, glass walled lobby which is for rent separately or combined with the main stage. European Shoebox designed theater with 2 tiers and raised mezzanine. 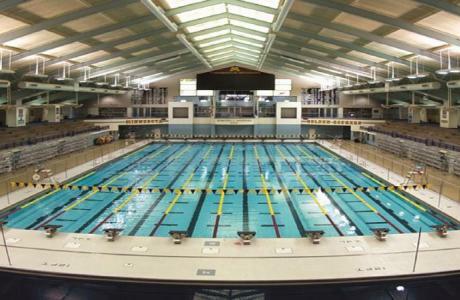 University Recreation Center	 Located on the University of Minnesotas East Bank Campus, the facility serves between 3,000 and 5,000 patrons on an average weekday during the academic year. St. Paul Gymnasium	 Located on the University of Minnesotas St. Paul Campus, the facility serves approximately 1,000 patrons on an average weekday during the academic year. In 2002, the St. Paul Gymnasium was named an Outstanding Facility by the National Intramural-Recreational Sports Association. 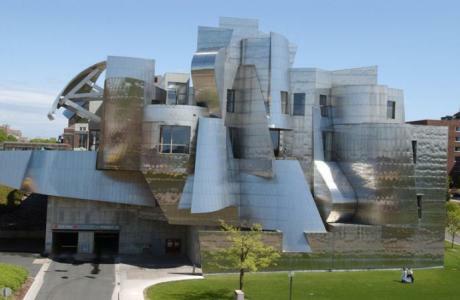 Weisman Art Museum	 Perched on the bluffs overlooking the Mississippi River and the Minneapolis skyline, Frank Gehry's imaginative design of stainless steel and brick has made the Weisman Art Museum a prominent architectural landmark. Inside, pale wood and cascading light come together in what The New York Times called "five of the most gorgeous galleries on earth." There are a number of spaces available for rent. 1851 Heritage Catering supports and believes in the University of Minnesota’s sustainability goals and will do our part to help protect and improve the environment. We simultaneously work to reduce our ecological footprint while also providing high quality, top-of-the-line food and beverage options. To learn about your sustainable menu options, we invite you to contact 1851 Heritage Catering to discuss how we can create the most sustainable, delicious and successful university event. Residential Dining provides buffet style dining with a variety of menu options. Our primary food court houses Chick-fil-A, Cranberry Farms, Bana Sol, Greens to Go, Grille Works, Kettle Classics, Bene Pizzeria, Panda Express, Einstein Bros Bagels, M Deli, Jamba Juice and Starbucks Coffee. The East Bank Campus offers several dining locations: River Road Cafe, Java City at Moos, Nolte Restaurant, Outside In, Northrop Grill and Wise Owl Cafe. 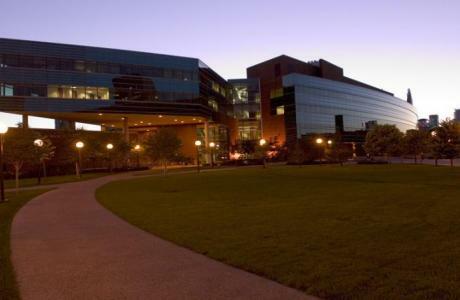 The West Bank Campus offers several dining locations: 1300 South Cafe, Academic Blend Cafe, Bistro West, Bleecker Street, Essentials Market, Grille Works, Left Bank Cafe, Metropol, Starbucks, Sullivan Cafe, Zoca, CityKid Java Cafe. 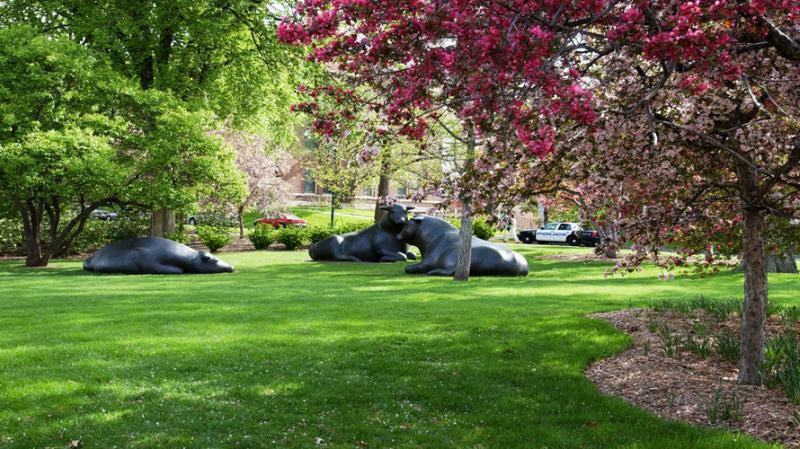 The St Paul dining offers Hay Loft Cafe, Java City @ St Paul, Subway, and Terrace Cafe. Printing Services	 Printing Services has the resources, personnel, and knowledge required to successfully solve any communications challenge. From on-demand, variable data printing to web design and economical offset printing, our team of communications professionals will work within your budget to tailor an effective plan for communicating your message. Security Monitors	 For added security, our Security monitors may be hired 24 hours a day as needed. University of Minnesota Police Department	 UMPD is a professional police force, dedicated to protecting the people and property of the University of Minnesota. 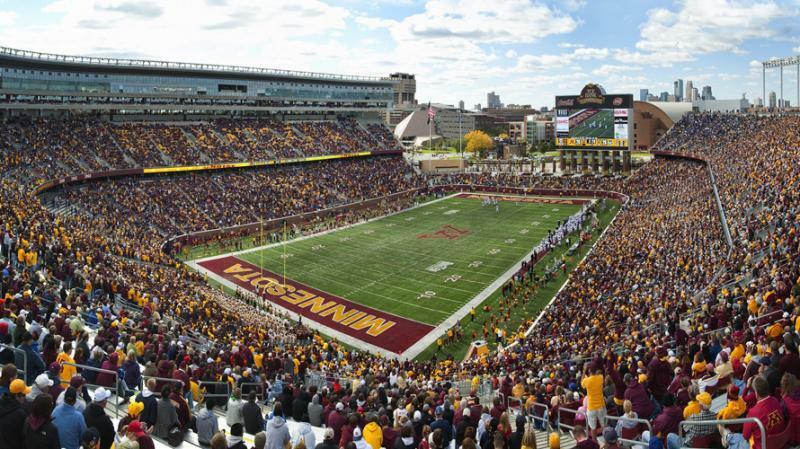 Conference Services and Program Planning	 Specializes in providing registration resources and conference planning services for University of Minnesota sponsored programs. Parking and Transportation Services	 Parking and Transportation Services specializes in the transit needs of guests, from parking permits and bus passes, to car rental and bike paths. Signs and Graphics	 Let Facility Management's Signs and Graphics Unit fulfill all your sign and graphic needs! Office of Classroom Management	 The Office of Classroom Management is the central point of contact, and single point of responsibility and accountability for all general purpose classroom space. Classroom Technical Services Provides a variety of technical services for guests, including set-up and operations support for the duration of your event. Video Services LCD Projectors, Video Monitors (27" & 32"), Video Conversion. The Raptor Center	 Established in 1974, The Raptor Center specializes in the medical care, rehabilitation, and conservation of eagles, hawks, owls, and falcons. In additional to treating approximately 800 birds a year, the internationally known program reaches more than 200,000 people each year through public education programs and events. Bell Museum of Natural History The Bell Museum's exhibits encourage exploration and convey the wonder of nature, the excitement of science, and the importance of research and conservation of the natural world. 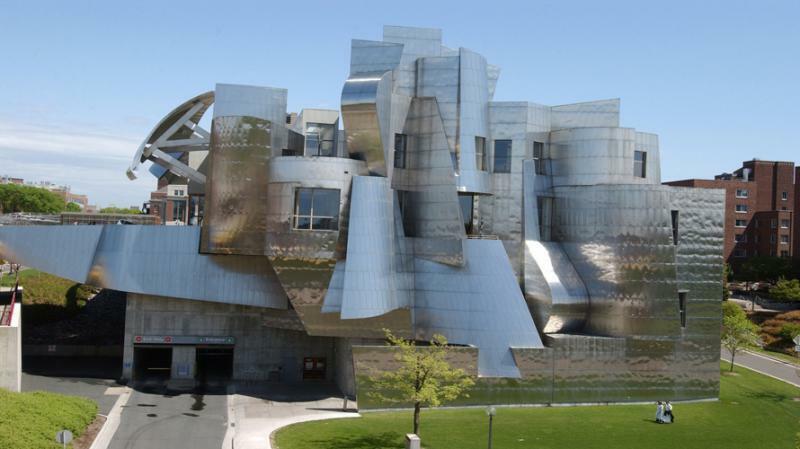 Frederick R. Weisman Art Museum The Weisman Art Museum offers an educational and friendly museum experience. The museum's collection features early 20th century American artists such as Georgia O'Keeffe and Marsden Hartley, as well as a diverse selection of contemporary art. 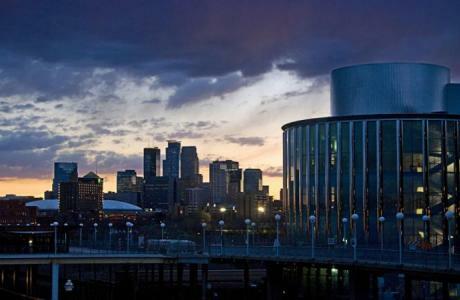 A teaching museum for the University of Minnesota and the community, the Weisman provides a fresh, engaging arts experience through an array of programs and a changing schedule of exhibitions. Guthrie Theatre Guthrie Theatre is an American center for theater performance, production, education and professional training. 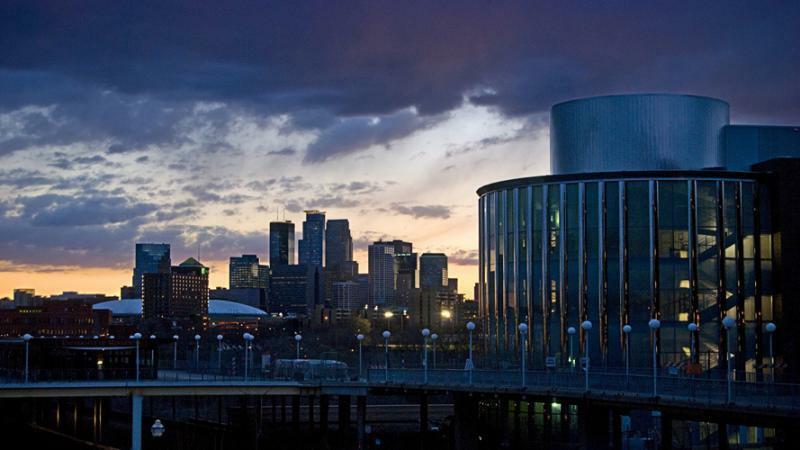 By presenting both classical literature and new work from diverse cultures, the Guthrie illuminates the common humanity connecting Minnesota to the peoples of the world. Mall of America America's largest mall with more than 520 stores and restaurants. Attractions inside the mall include Nickelodeon Universe, Underwater Adventures Aquarium, LEGO Imagination Center, Dinosaur Walk Museum, and Nascar Silicon Motor Speedway. Science Museum of Minnesota The Science Museum is a large regional science museum located on the banks of the Mississippi River in downtown St. Paul. The Science Museum's programs combine research and collection facilities, a public science education center, extensive teacher education and school outreach programs, and an Imax Convertible Dome Omnitheater to provide science education to our audience of more than a million people per year.